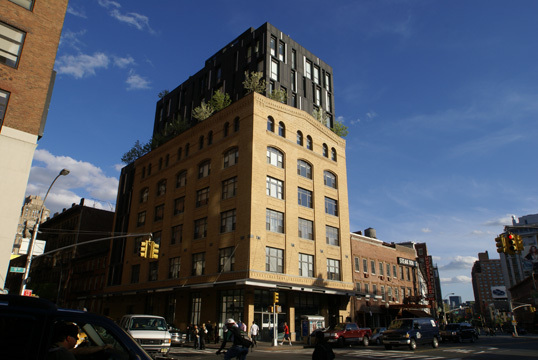 One of the boldest conversions in the city is The Porter House, a relatively small expansion of an industrial building to condominium apartments. 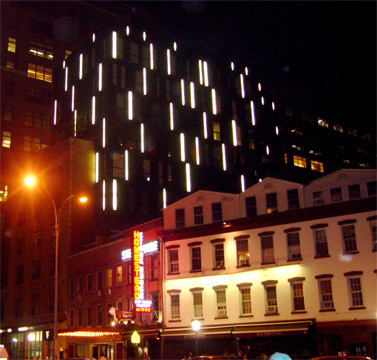 It was a very significant development for it not only paid scant respect to the once-popular Post-Modern trend of trying to be traditional and "contextual," but it also, and more importantly, broke new ground in its very unusual façade lighting. 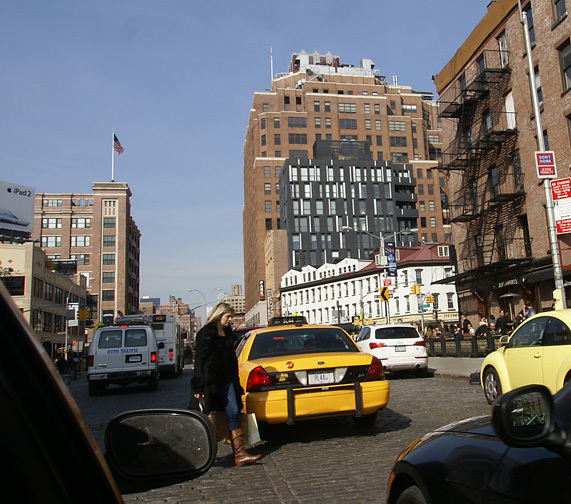 The base of the building is a yellow-brick Renaissance Revival warehouse structure that was originally erected in 1905 for Julius Wile, the wine importers. The developer of the project took the general size and form of the existing building and duplicated it above the existing building but shifted the new mass a bit to the east and south. Furthermore, the "top" box is covered with a dark zinc façade that is decidedly different from the yellow-brick base. It is at night, however, that the differences became electrifying, literally. The "top" box has vertical lighting elements most of which are as large as some of its windows and they become very visible beacons. The lighting elements and the windows appear almost randomly placed and almost read as many lines of barcode. What we have here is a lightmark! 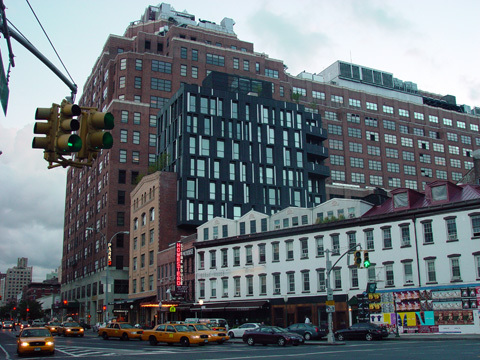 The building was designed by Gregg Pasquarelli of ShoP/Sharples Holden Pasquarelli and Jeffrey M. Brown was the developer.